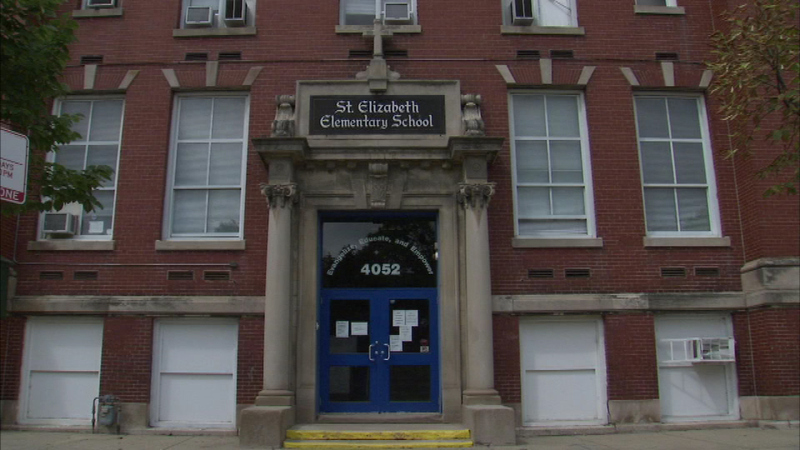 CHICAGO (WLS) -- Two South Side Catholic schools are combining students less than a week before school starts after lead paint discovered inside St. Elizabeth School. The archdiocese says workers found lead paint inside St. Elizabeth School on South Wabash, making the entire school unsafe. Students will now go to Holy Angels, eight blocks away, for classes. The Archdiocese is offering tuition discounts and free busing to St. Elizabeth families, and a meeting is set for October to address long-term issues caused by the building's closure.